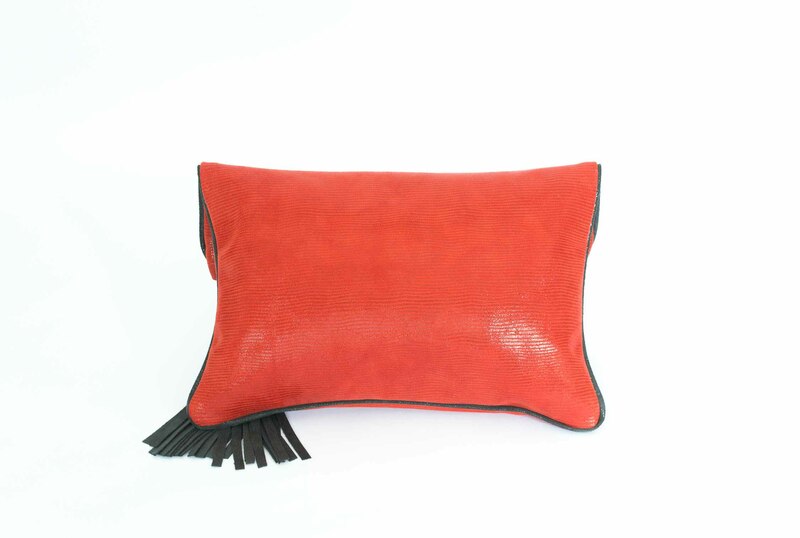 Don’t miss out on this elegant red leather foldover. Genuine leathers, elegant features and bright colors are details that give an unforgettable flair to this glamorous handbag ! It is perfect to accessorize your silhouette anywhere, anytime. 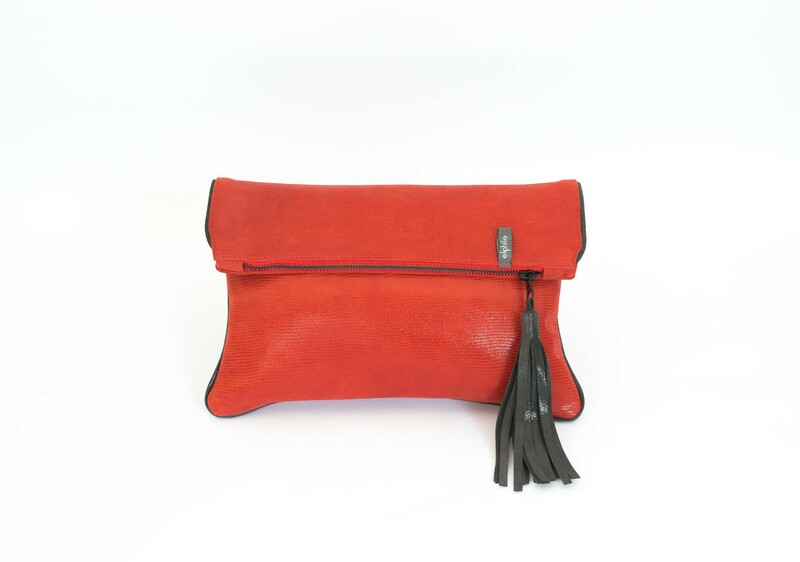 It is made in a broad range of tints and leather textures to suit each and every woman. 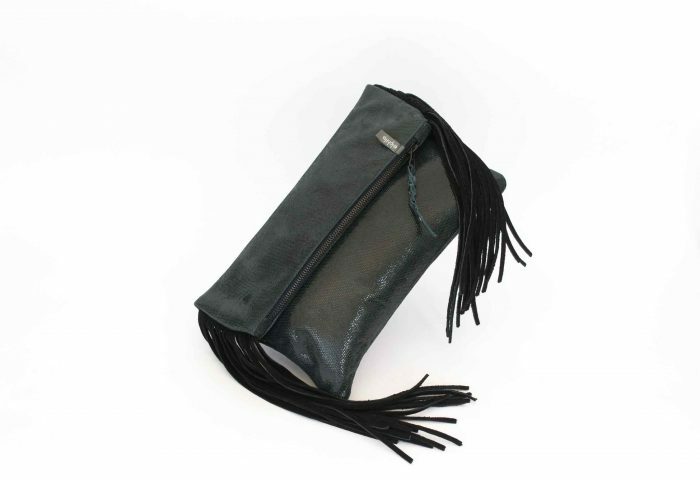 Each foldover purse has an exclusive texture / leather color mix with delicate hues to satisfy all your whims. Gwen’s red foldover was created to suit your mood. 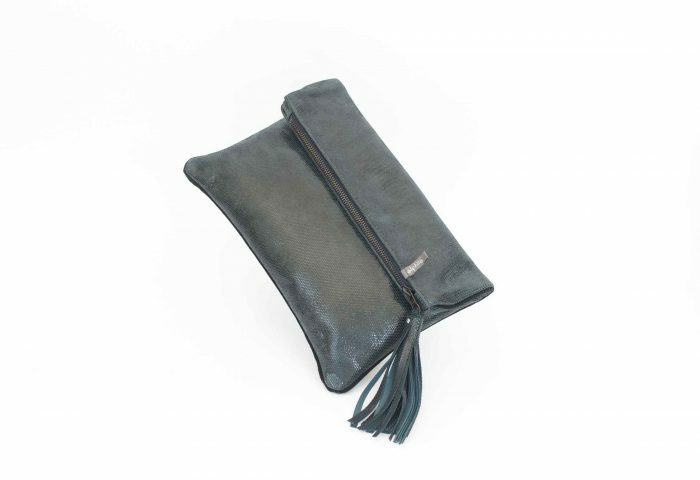 Thanks to Y, this party bag possesses an ideal size to carry your essentials in style. 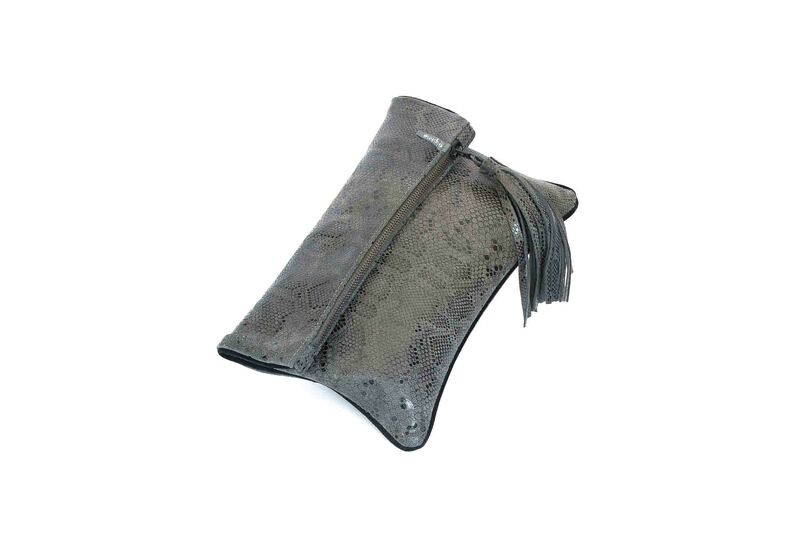 When she first conceived this large clutch, it was double the size ! She actually adopted the Texan saying: “Everything is bigger in Texas”. Fortunately, my friend Y came to me and asked for a smaller evening bag. elphile’s iconic foldover was born !